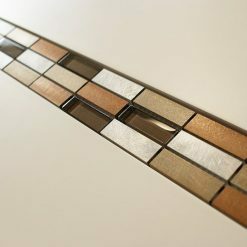 Our mosaic border tiles are perfect for tying a room together. 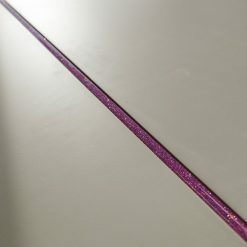 We have designed them to sit neatly between popular sizes of ceramic,stone and porcelain tiles giving a much needed injection of colour and interest. 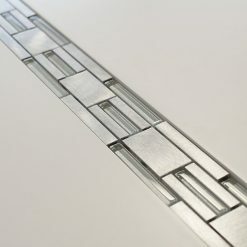 We have an amazing selection of mosaic border tiles to choose from – with stunning decorative glass borders and shiny contemporary pieces of metal! 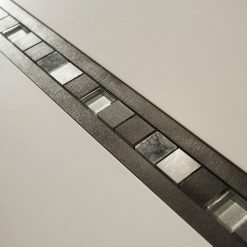 Mosaic tiles make for fantastic border tiles; particularly mosaics that consist of different colours, textures and materials. 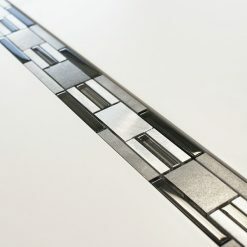 Make life easy with our mosaic border tiles. 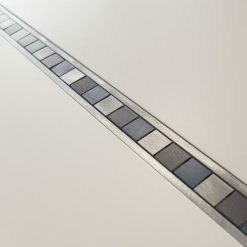 Mosaic border tiles will bring you surfaces to life, at a low cost. 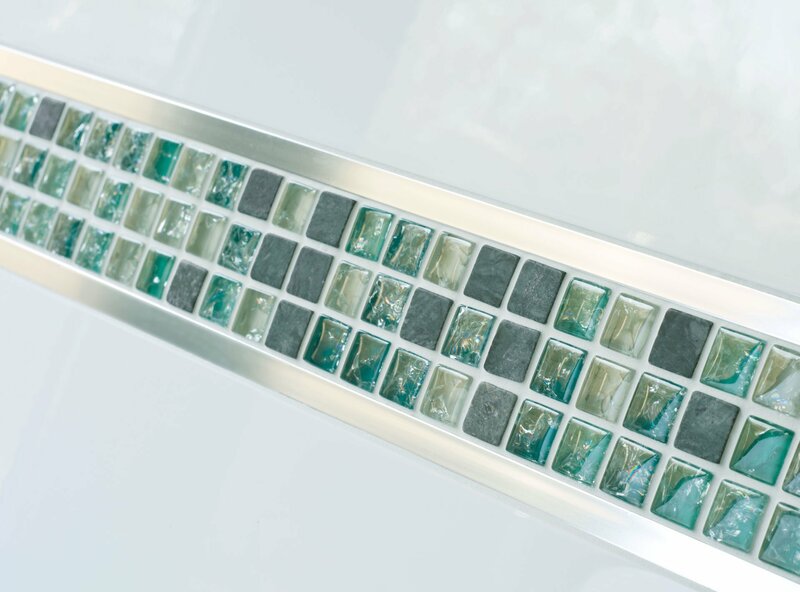 The mosaic border tile featured is Green Sparkle. Get up to 5 samples sent out with FREE postage. Spend over £120 incl vat and enjoy FREE delivery within UK mainland. 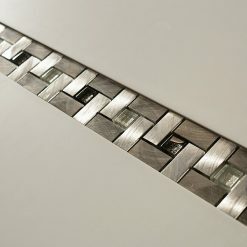 Mosaic border tiles are a perfect solution when operating on a low budget. 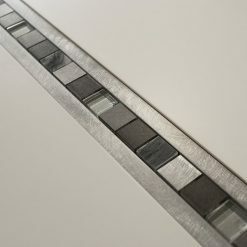 Many of our customers opt to trim down mosaic tile sheets in order to form their own border tiles, but we have developed a range where that work has already be done. 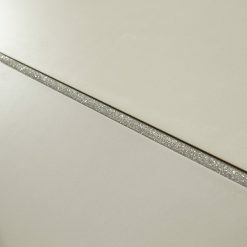 Decorative feature tiles can be applied anywhere, but typically can be seen more in bathrooms. More often than not in this scenario you will find you are surrounded by an abundance of white, from sanitary ware and the most popular colour choice of field tile. 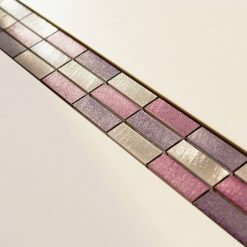 Mosaic border tiles are the perfect way to add a interest to those dull backdrops. We have a colourful range on offer at Mosaic Village which will help create the look you desire. Also some of our mosaic border tiles incorporate chrome edging, which will do away with any tile trim and complete your look with an expert finish. 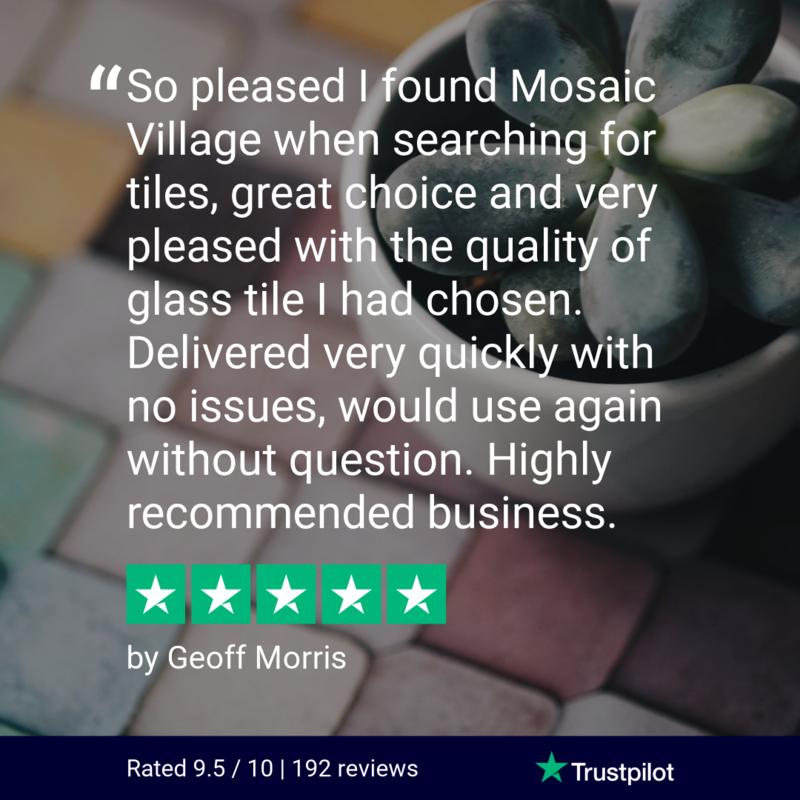 At the end of the day it is always down to personal preference and here at Mosaic Village we are always on hand to give you the advice you need whether it's regarding your kitchen mosaic tiles or your bathroom mosaic tiles, even other rooms you might want to include our perfect tiles in. 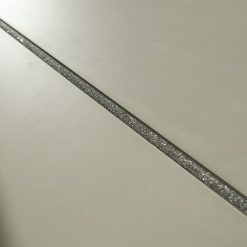 Mosaic Village, Your mosaic tile specialist.